Frogtown Farm and St. Paul Tool Library are partnering to offer a workshop about garden tool maintenance. 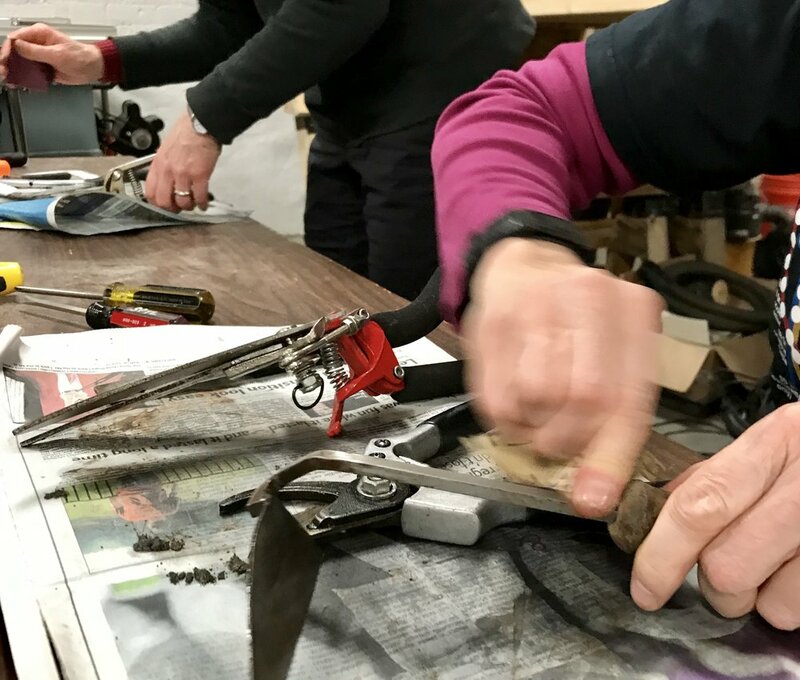 Workshop participants are invited to bring up to three garden tools such as shovels, rakes, or pruners. We will demonstrate and discuss basic tool maintenance, caring for wooden handles, and rust prevention. We will have tools and materials on hand so that you can clean, sharpen, and oil your garden tools. If you need to replace a handle, bring the replacement parts with you. Please understand that we are not able to address all tool repair issues. We can’t guarantee that you will have time to finish work on all the tools you bring. This workshop is not for wheelbarrows, lawn mowers, or tools with gas or electric motors. Everyone is welcome, but only 12 spots are available. To offset instructor time, we do suggest up to a $20 donation that can be brought to the workshop.